It was a beautiful September and a quite nice October as well. 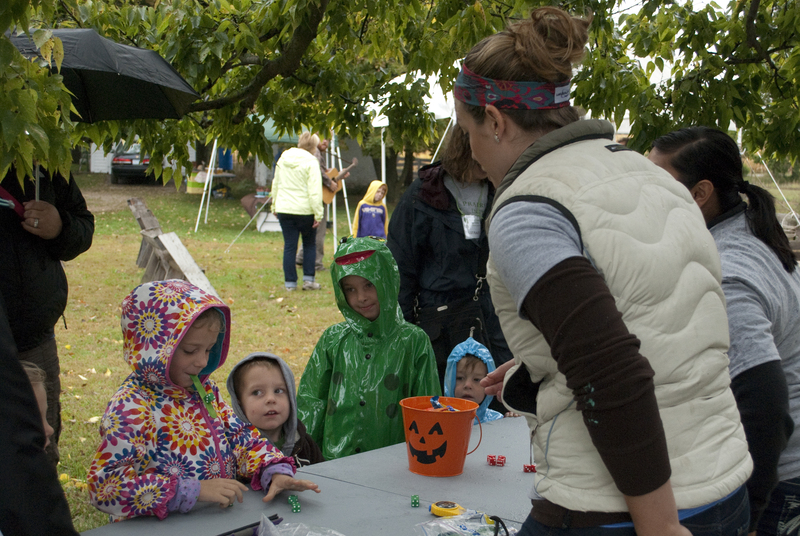 September 28th was a bit of a different story as the cold winds and driving rain made for a light turn out at our Fall Festival. 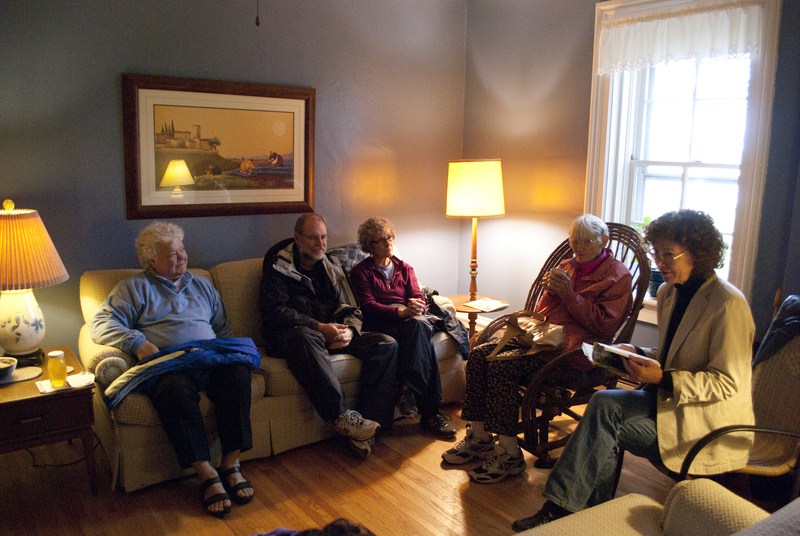 Those who did come found the silent auction and readings moved inside the cozy Farmhouse. 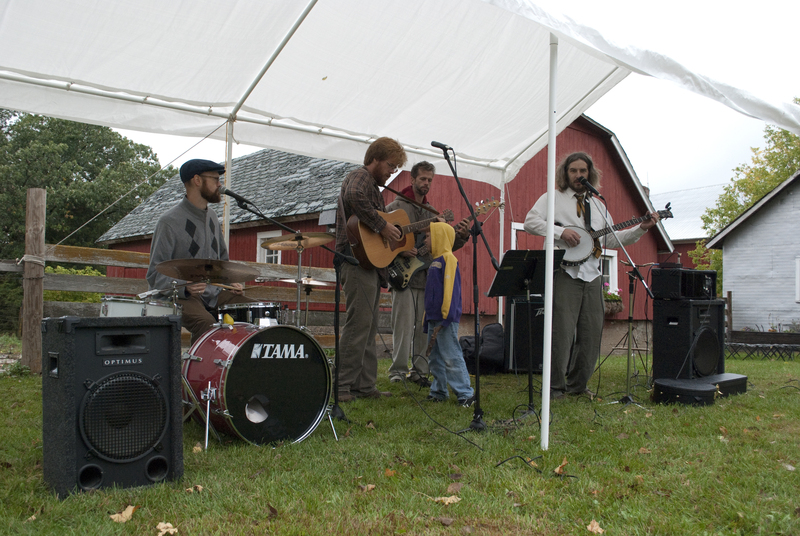 The musicians and marketers braved the elements and delivered some great entertainment and offerings for our guests. Rain gear and fun games! Depot Creek kept the tunes coming despite playing during the windiest part of the day. 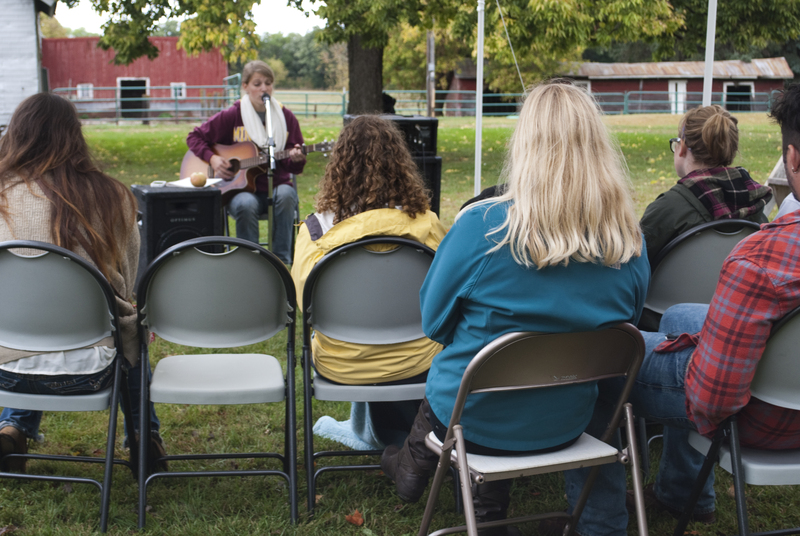 Jessie Erickson performs at the Fall Festival. 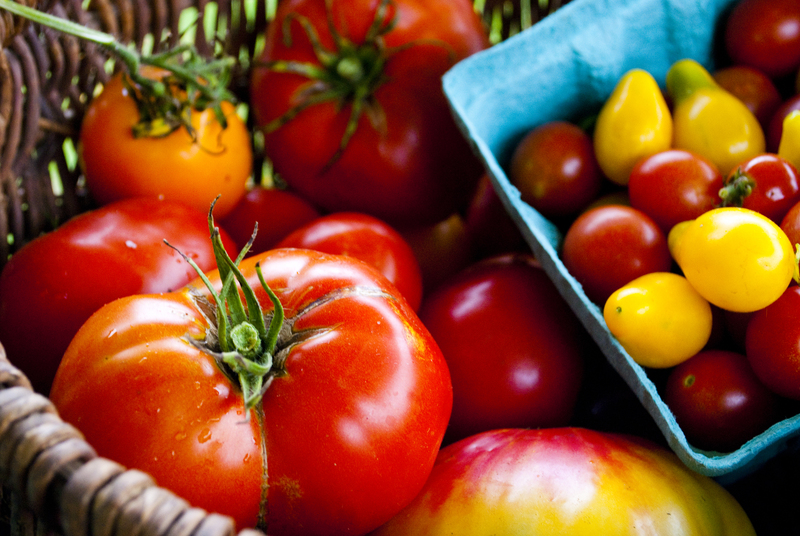 Categories: Events | Tags: a place at the table, depot creek, fall festival, jessie erickson, joyce sutphen, sonya ewert | Permalink.